Trig Palin – Len Bilén's blog, a blog about faith, politics and the environment. Trig Palin is eight. Sarah Palin has plenty of time to enter national politics. A Limerick. 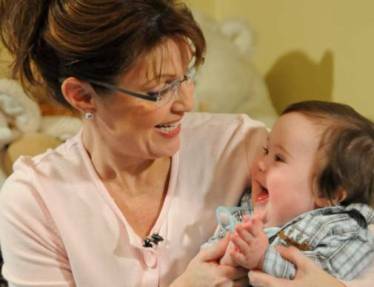 Trig Paxton von Palin is eight. Good things come to those who can wait. A thought came to me. Suppose Donald Trump became president for two terms, followed by Sarah Palin for two terms; after sixteen years with Sarah Palin she will still be younger than Hillary Clinton would be at her inauguration. Posted on April 19, 2016 Categories campaign, limerick, Politics, Sarah PalinTags Hillary Clinton, Limericks, politics, Sarah Palin, Trig PalinLeave a comment on Trig Palin is eight. Sarah Palin has plenty of time to enter national politics. A Limerick. Obama and abortion, Bill Maher and Trig Palin bashing. This administration has shown a remarkable disdain for the less than perfect children. Obama himself on the Jay Leno show in 2009 was asked about the bowling alley in the White House. Obama joked to Leno that his average score of 129 “was like the Special Olympics or something.” He is also a stalwart proponent of unlimited abortions, even to the point of letting a child alive after the abortion be left to die if this was the intent of the procedure. The day after pill can now be dispensed without a prescription to anybody, even a child. This can be used as a tool by predator men to force young girls into situations they would never consent to otherwise. Women in so called “Geriatric Pregnancies” has to undergo all tests and listen to the advice of doctors and councelors to consider abortion if there are any abnormalities discovered during their pregnancy. Predators come in many forms. Bill Maher has made numerous vile remarks about Sarah Palin and her children. He even stoops so low as to make jokes about her son Trig, born with the Down Syndrom. This is bottom feeding “entertainment” of the worst kind. I’m in your neck of the woods this weekend, little Bill. Care to meet so I can tell you how I really feel? Posted on June 13, 2013 Categories Christian, faith, life, Obama, politics, Sarah Palin, songTags abortion, Bill Maher, Christianity, faith, Obama, politics, Sarah Palin, Trig PalinLeave a comment on Obama and abortion, Bill Maher and Trig Palin bashing. Sarah Palin in Hershey, PA. A Limerick. 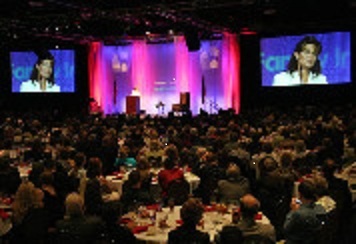 Sarah Palin’s speech is a hit in Hershey. must give: Equal rights to both mother and child. 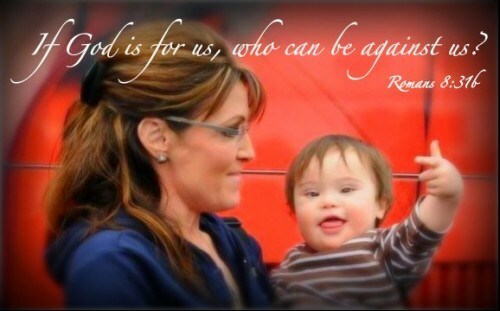 Posted on January 28, 2012 January 28, 2012 Categories limerick, Sarah PalinTags abortion, Hershey, Limericks, Sarah Palin, Trig PalinLeave a comment on Sarah Palin in Hershey, PA. A Limerick.